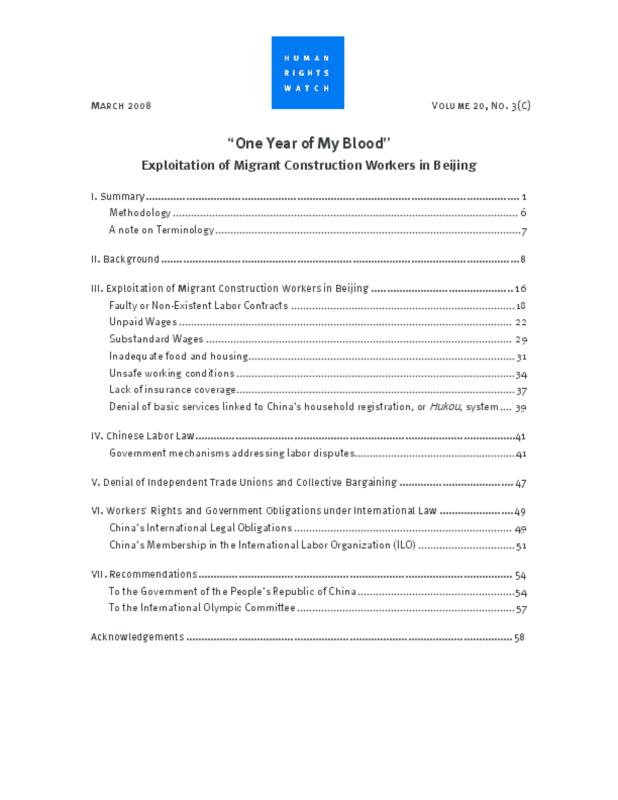 This 61-page report documents the Chinese government's failure to fulfill long-repeated promises to protect the rights of migrant construction workers, as well as to end deprivations caused by the discriminatory nature of China's household registration (hukou) system. 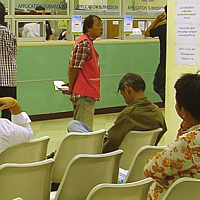 An estimated 1 million migrant construction workers, hailing from other parts of China, make up nearly 90 percent of Beijing's construction workforce. These workers are the muscle behind completion of Olympic Games-related infrastructure and sporting venues. The Beijing Olympic Games begin on August 8, 2008.